Parents and teens looking to find ideas and resources for a coming of age party or prom can look no further than the Teen Party Expo! The Expo is designed to give parents and teens a hands-on experience with presentations, samples, and demonstrations from 60 exhibitors. The event includes the Teen Club Expo, a separate club set up for teens to hang out and dance while parents get an idea of how a teen party can look and feel. "Golden Ticket" packages with free goods and services will be raffled off to five lucky expo visitors. General admission is $10 and includes a raffle ticket. VIP tickets are $15, and include express check-in, email newsletter with coupons, complementary gift, and an extra raffle ticket. Children 7 and under are free. 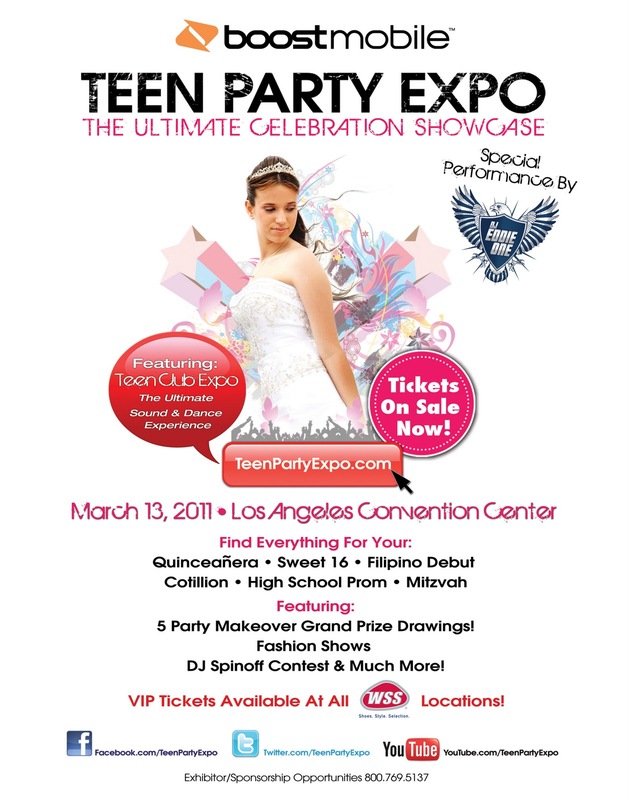 Tickets can be purchased online at http://www.teenpartyexpo.com/, at the door, or for a discount visit any Warehouse Shoe Stores (WSS) where VIP tickets are sold for $12! 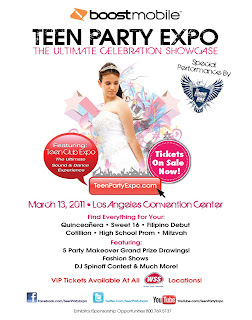 Check back in with me here on Saturday 3/5 or on Facebook for a chance to win a four pack of Teen Party Expo tickets! The expo is from 12pm to 5pm! Hope to see you everyone there!